TERRE HAUTE, Ind. — The excitement level is always high in the dirt racing world and early race dates are not an exception. Spring is in the air. The glitter of new paint is abundant. New opportunities and a fresh start await the drivers. The Hoosier Tire Midwest Sprint Car Series drivers have a second and perhaps greater challenge just ahead as they tackle two fast and demanding tracks in one weekend. MSCS will participate along with the United States Auto Club Sprint Cars on Saturday, April 26th at the quarter mile Tri-State Speedway in Haubstadt. 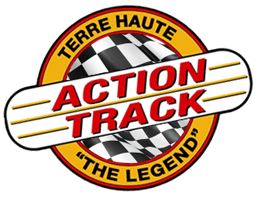 Then on Sunday, April 27, the series will travel to the half mile Terre Haute Action Track to compete in the first King of Indiana Sprint Series race in an event promoted by Track Enterprises, Inc. The two Indiana tracks are both on the U.S. 41 corridor in Southern Indiana and the tow or drive is an easy four-lane 95-mile two or drive. Action gets underway Saturday with MSCS regulars encountering the art of qualifying during time trials. The “Spring Showdown” will play out following 2014 USAC Official Rules of Competition. The format will include 10 lap heats, a qualifying race if necessary, a 12 lap semi, and the 30 lap feature. The feature will pay $5,000 to win and $500 to start. Twenty-two cars will start the main event. The provisional starter program will also be in effect for both series! Sunday’s “Spring Fling” will be conducted according to the current King of Indiana Sprint Series format. MSCS Officials, KISS Officials, and THAT Officials will work together to oversee and supervise the various aspects of the program. Specific details related to coordinating MSCS & KISS rules for the event will be covered at the drivers meeting. The 30 lap feature will pay $2,500 to win and $250 to start. At least twenty cars normally start the main event. For the Action Track, gates open at 3 p.m. with hot laps at 5 p.m. and racing to follow. Infield tickets are $15 and the grandstand is $20. Kids 10 and under are free. Pit passes are $35 for all ages. The MSCS cars will run non-winged sprints. Also, Kenny Wallace will race his UMP modified. For information, call 812-232-4040 or go online to terrehauteactiontrack.com. Last season’s “Spring Showdown” was won by Cullman Alabama’s Kevin Thomas Jr. He went on to win both co-sanctioned USAC-MSCS events held at Tri-State Speedway in 2013. Sikeston Missouri’s Hunter Schuerenberg won the very first USAC-MSCS “Spring Showdown” to be held at the speedway in 2012. Schuerenberg was victorious at the MSCS sanctioned “Bill Gardner’s Indiana Open Wheel.Com Racin’ Fest” at Lincoln Park Speedway to open this season. Two time and defending MSCS Champion Jon Stanbrough was second in that first encounter. The last time MSCS joined KISS for a show at Terre Haute was in 2012. Robert Ballou picked up the victory in April that season. And Ballou was second at Haubstadt in the 2013 Showdown. The KISS-MSCS event scheduled to be held at the Action Track in 2013 was rained out and not rescheduled. The drivers or driver that wins these two features could find that getting to the front was not an easy task and then staying there another lap by lap challenge. The UMP Open Wheel Modifieds will be an added attraction at both race tracks! Provided as News and Information for MSCS.